Dr. Jason Johnson is a professor, political analyst and public speaker. Fresh, unflappable, objective, he is known for his ability to break down stories with wit and candor. Johnson is the author the book Political Consultants and Campaigns: One Day to Sell, a tenured professor in the School of Global Journalism & Communication at Morgan State University in Baltimore, Maryland and Politics Editor at TheRoot.com. Dr. Johnson has an extensive public speaking and media background ranging from pop culture to politics. Dr. Johnson has worked for Republicans and Democrats as a campaign manager and assistant state director in South Carolina, Maryland and Virginia. Internationally, Johnson worked on the 2001 London mayoral race, was an honored guest of the Independent Electoral Commission in Johannesburg, South Africa in 2007 and been an election observer in two Mexican presidential elections. In 2012 and 2016 Dr. Johnson was a guest of the German Consulate and did a lecture tour in Dusseldorf, Berlin, Frankfurt, Hamburg and Kiel travelling throughout Germany for weeks explaining Internet Strategy in American presidential campaigns. He was also a guest of the Australian Embassy in the United States laying out American campaign law and strategy to several visiting members of Parliament. 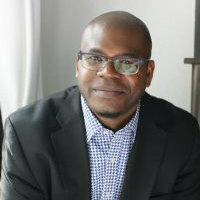 Jason Johnson has been quoted by The Hill, the Wall Street Journal, USA Today, Forbes, The Washington Times, The Christian Science Monitor the Cincinnati Enquirer, the Cleveland Plain Dealer, Yomiuri Shimbun (Japan’s largest circulation newspaper), O Globo in Brazil, the Edinburgh Scotsman, Black Enterprise and Essence magazine. He previously served as Politics Editor for The Source Magazine, Chief Political Correspondent for Politic365 and wrote a weekly column for the Chicago Defender, the New Pittsburgh Courier and the Real Times Media Syndicate. His writing has appeared on NBC and NBC BLK, as well as the Huffington Post, CNN, BET.com, ESPN and Al Jazeera. Johnson is a frequent television commentator locally, nationally and internationally. He is a regular commentator on Al Jazeera English, CNN, MSNBC, Fox Business News, TV One and FUSION and has appeared on The O’Reilly Factor, Hardball with Chris Matthews, Up with Chris Hayes, America with Jorge Ramos. Internationally he’s made multiple appearances on BBC, CBC in Canada and Russia Today. Professor Johnson is a contributor at SIRIUS XM Radio and provides regular commentary on the nationally syndicated Russ Parr Morning Show, as well as local and national NPR shows like Morning Edition.